Logging into System Five displays a blank login box as shown in figure 1. 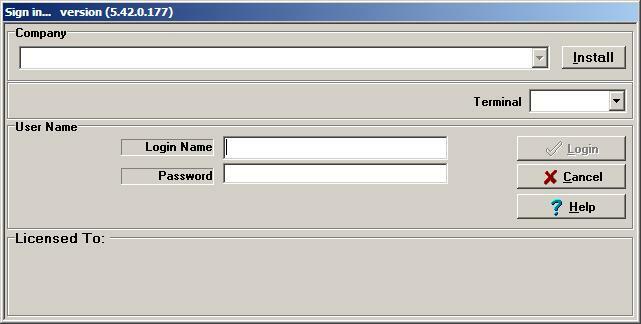 Figure 1 - Blank login box. The workstation needs to be linked to an existing networked company from the Windward Install menu. Ensure the path to the System Five data is correct and mapped drives are properly logged in and active. Check the System Five dataset for the existance of the files TIMEOUT!.NOW or GETOUT!.NOW. It needs to be determined if the files should exist in your dataset due to backup or update activities. The TIMEOUT!.NOW and GETOUT!.NOW serve specific functions in System Five. These files should not be casually deleted if located in your main data directory.